AQUASPLASH is an ideal venue to host and cater your own party. Feel free to bring your own food / drinks and erect a shade tent in nearby parklands. Please be aware that we cater for ages 5+ and children aged 5-9 must be accompanied by a paying adult / guardian ( Ratio 1 adult : 2 kids ). 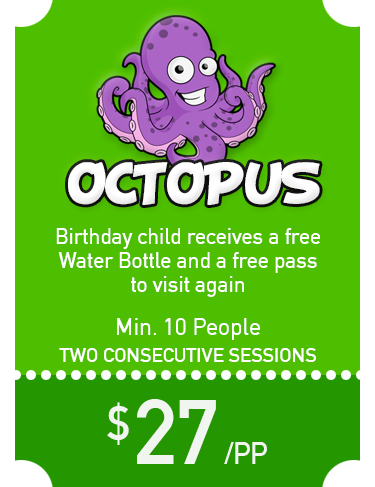 Bookings can be made online up to 30 minutes prior to your session time. 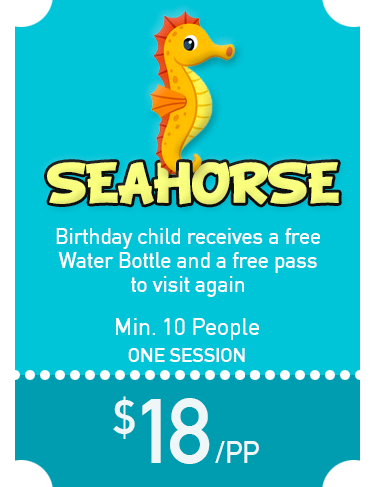 Seahorse is one session and Octopus Parties are two consecutive sessions. – Please take care when making a booking as we do not offer refunds in the case of “no shows”, we will happily add extra persons to your booking if necessary on site on the day. 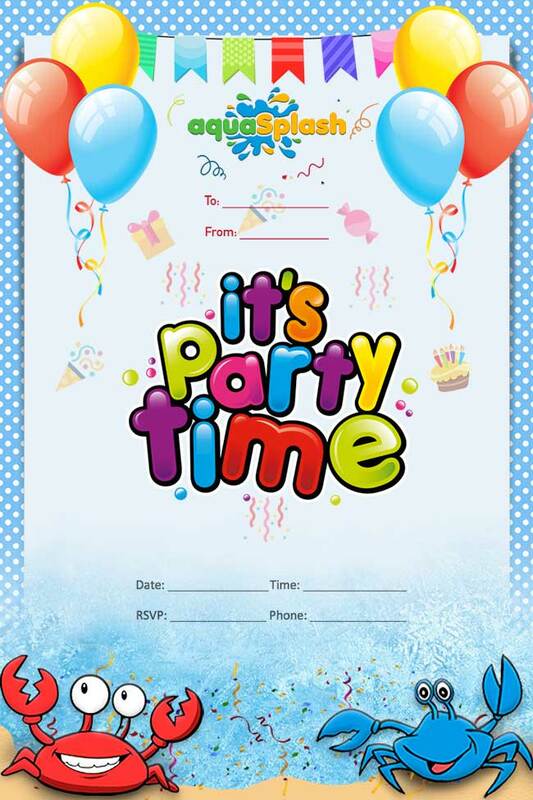 – The birthday party price is only applicable for a minimum of 10 persons at time of booking. No changes to date or refunds will be made in the case of change of mind or wet weather. Aquasplash will only close in extreme weather conditions (lightning storms & winds over 40 knots) Aquasplash will notify any bookings in the system if we have any closures, outside of these conditions we are OPEN. Follow us on our Facebook and Instagram pages for updates / closures. Office hours / phone lines are Monday – Friday (9am – 3pm) AEST excluding public holidays, any messages left after this time will be answered on the next business day. Please follow us on FB for all updates and closures prior to your visit.